We had great Annual meeting on Monday, March 25th. 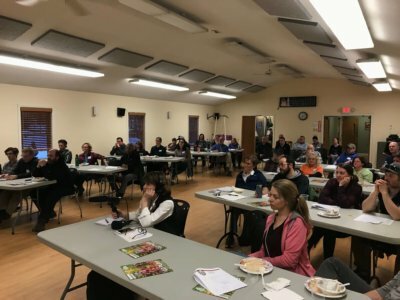 A group of 50+ members and general public heard first hand about our accomplishments this past year and about some of our plans for 2019. We also revealed the initial results of the user surveys and trail counter data collected between April 2018 and March 2019. Our conservative estimates are that the visitors to the Park contribute over $1.3 million to the Rutland area economy! A discussion session led to lots of great ideas. Hopefully we can move forward with some of the great suggestions and enthusiasm that were present in the room! We want to thank the following business and organizations that donated items for our raffle: MTBVT, Alpine Bike Works, Basin Ski Shop, First Stop Ski Shop and Killington Bike Park. For more detail about the meeting you can read the Meeting Minutes and watch the PowerPoint Presentation. Vermont Public Radio reported about the meeting which you can listen to and read here. Here’s to a great season of playing in the Park! 9AM at the front entrance of Pine Hill Park. We will be working to clean up the front entrance and do repair work to Exit Strategy. We have tools and gloves. Bring water and sunscreen. Introducing our Gritty Girls Mountain Bike Club! Grades 3-8; Sundays from 1-3pm, 4/28/2019 – 6/2/2019. Dates may change due to weather. Cost $35 for Rutland city residents; $46, non-residents. This all-girls club will encourage and promote confidence, knowledge and basic skills in a supportive team environment through games, group rides, and fun challenges. Includes t-shirt. Equipment loan and/or bike discounts are available. Get ready to ride the trails! An optional Killington Resort and Suicide Six day for riding will be available at a discounted rate. 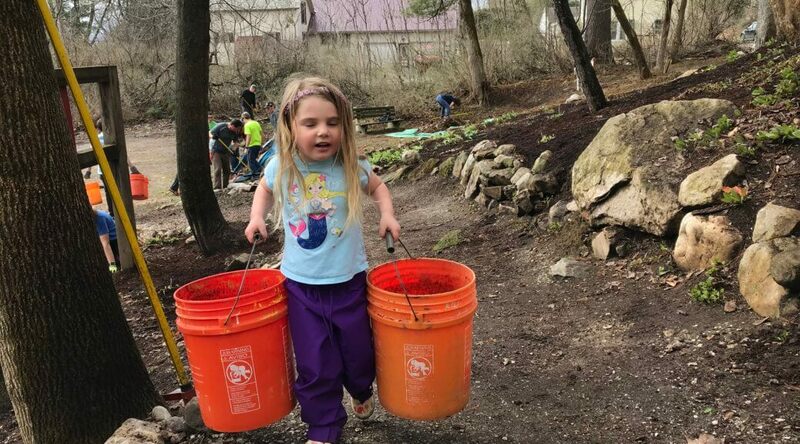 2019 Community Work day is coming up! Saturday, April 27th at 9AM. Meet at the front entrance. We will have tools, gloves, bring water and sun screen. Our projects will be to pretty up the front entrance, repair Exit Strategy which is a huge project this spring. We will not be able to open Exit Strategy until the banked corners have been repaired. We will be bringing in material to help shore the corners up that got beat up badly last year with the heavy rain. Please come join us for a couple of hours. Youth Works is back for the 12th year. They will be in the park working on Monday’s and Tuesday’s, from 9:30-2:30 starting June 17-18 and through to July 29-30. Meet at the front entrance. Anyone who needs community service hours is welcome to join us. 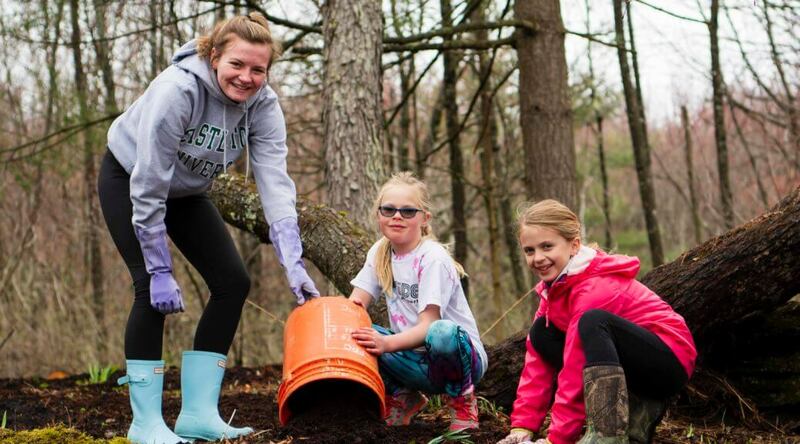 Join us on Saturday, April 27th for our first trail day, 9AM at Pine Hill Park. We have a couple of projects to tackle. One is to repair Exit Strategy corners, clean drainage’s out and clean up the front entrance. Many hands make light work! Hope to see you there. 2018 was a great year on the trails. Please join us at our annual meeting to enjoy light dinner fare, a short recap of our projects and an introduction to our plans for 2019. The meeting will start at 6pm, Monday, March 25th, at the Godnick Center at 1 Deer St. Rutland, VT.
We will have some excellent food including vegetarian fare to be consumed before the presentation. The meeting will begin with a short, required, business meeting. There will be a quick review of the 2018 accomplishments in the park and surrounding trails. We have a few guest speakers from surrounding trail systems giving us an update on their 2019 plans. Pine Hill Partnership will have some cool raffle prizes to give raffle off. Tickets are $5 each sold at the door. Afterwards, we plan to have an extended question and answer period and hope you will contribute ideas and suggestions that can be incorporated into the future Pine Hill Park trail projects, the Pine Hill Partnership organization itself, and surrounding trail networks. As our organization grows, we are looking for a more diversified group to serve on a couple of committees. In particular, we have a fundraising project for 2019 and would like to make a concerted effort to increase our paid membership rolls. We are hoping some folks can join us on this project. We are also looking for additional board members. The board generally meets six to eight times a year and we are looking for people with a range of interests. 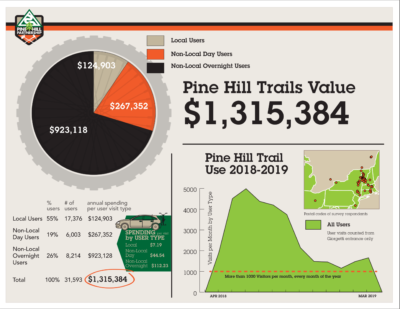 Some people might have a passion for trail work while others might have a focus on growing Pine Hill Partnership membership or on strategic planning. If you are interested in being a board member, please fill in the form below and include your qualifications and reasons why you would like to become actively involved in the Partnership so that we may share it with the membership before the annual meeting. Update April 13th: Please no bikes. We have a lot of rain coming Sunday/Monday that will keep trails particularly corners too damp to ride. Please be patient. Thank you. Update April 11th: Please no bikes in the park. 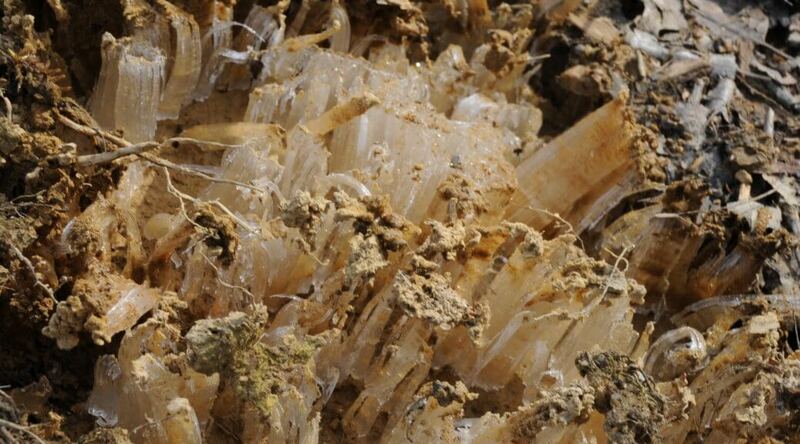 We are in the midst of our freeze/thaw cycles that raise havoc on the trails. Trails are drying out nicely but are still tender so please be kind and stay off with bikes. Thanks. The tire ruts from bikes will let the water run down the rut, and that then washes away all our hard earned dirt. Dirt in the park is hard to come by. See this for more info! It’s all moved to the trail by volunteers using buckets and shovels. Our first community work day is Saturday, April 27th, 9AM. Meet at the front entrance. We will provide gloves and tools. There is no paid trail staff, there is no mini-excavator working to move dirt. Please do not ruin it for everyone else. Community Bank gave us a very nice contribution this spring. We used it to purchase materials to build two benches for the park. Thank you to Augie Levins who built the benches and to all the other volunteers that helped move them. One is located on Underdog powerline and the other one is on Droopy Muffin powerline. We have several other locations we would like to install the same type bench in the future. The Pine Hill Partnership (PHP) announced that Bryan Sell (Mendon, VT) has been named Executive Director of the organization. 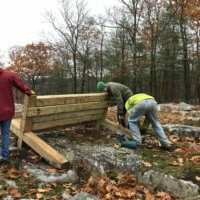 PHP is responsible for creating and maintaining the trails in Rutland City’s Pine Hill Park and surrounding trail networks. Sell is PHP’s first executive director. Bryan has been an avid mountain biker for 26 years and outdoor sports enthusiast for most of his life. He moved here a year and half ago with his family to take advantage of the outdoor recreation activities and culture that is unique to our region. He is married to Emily Feinberg, an ENT physician assistant at Rutland Regional, and has a son Hunter who is 4 years old; both are also very much into mountain biking. Bryan’s work experience is diverse beginning with a stint in the U.S. Navy and then continuing his education while working as an Earth scientist in various capacities from drilling petroleum wells to working on ice cores for climate change research. 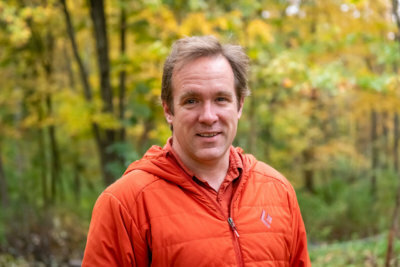 Bryan has a PhD in geology from Syracuse University, is currently a part-time faculty member at Castleton University, and part-time snowboard/mountain bike instructor at Killington Resort. 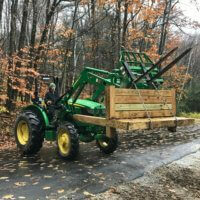 Bryan joined the PHP Board in 2017 in an effort to build a trail from Rutland to Killington and was bamboozled into taking on other responsibilities. He has many years of informal trail building experience and became a student of sustainable trail building practices in 2015 while volunteering with a local International Mountain Biking Association (IMBA) chapter in Pennsylvania. 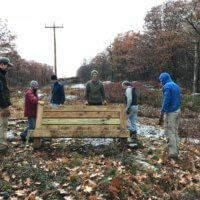 The Pine Hill Partnership is a non-profit formed in 2005 that has the mission of recruiting and organizing volunteers to repair, maintain and improve the non-motorized multi-use trail system in the city park at Pine Hill and adjacent lands. This past summer the Partnership hosted over 20,000 visits to Pine Hill Park. 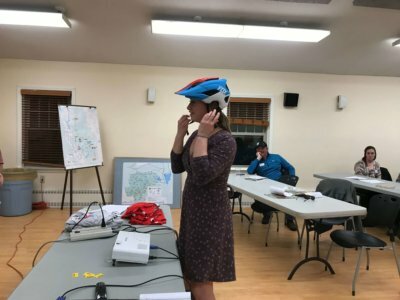 BENTONVILLE, Arkansas (Oct. 29, 2018) — The International Mountain Bicycling Association (IMBA) has presented Shelley Lutz (Center Rutland, Vt.) with the 2018 “Scott “Superman” Scudamore Volunteer Leadership Award” for her relentless and selfless service to her community. Lutz is one of the founding members of the Pine Hill Partnership and currently serves as the organization’s secretary. The award honors outstanding volunteers who are making a significant contribution to the mountain bicycling community. IMBA received more than 20 nominations from all ten regions in the United States. Lutz has devoted thousands of hours to Pine Hill Partnership since the organization’s start in 2006. 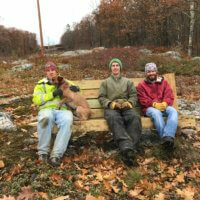 For over 25 years, she mountain biked, hiked, and skied in Pine Hill, and helped to layout, create, and maintain the trail network that we know today. 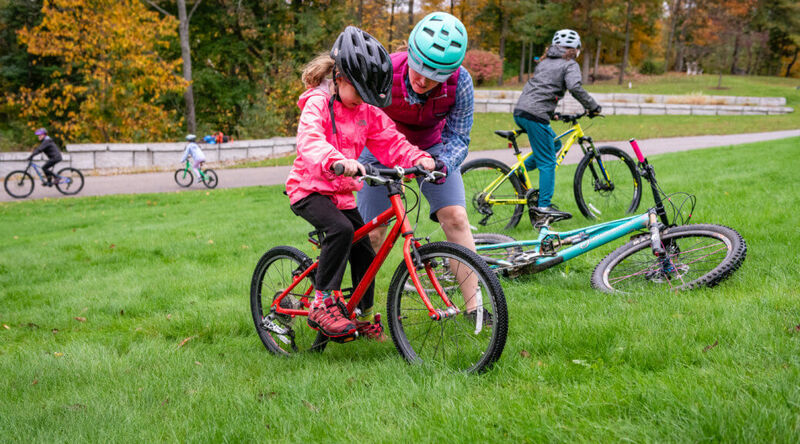 In addition to trail work and organizing work days, Lutz has led a women’s mountain bike clinic and youth mountain bike clinic in Pine Hill Park for the past 10 years. She also has helped other trail advocacy groups in the region begin and grow their trail networks. Lutz exemplifies the Scott “Superman” Scudamore attitude of getting everyone she meets to volunteer in the Park. Lutz has lived in the Rutland area since graduating from Castleton University in 1975. She worked for UPS for 36 years before retiring in 2011. Scott “Superman Scud” Scudamore was a retired Air Force Captain who exemplified mountain bike volunteerism through his work with the Mid-Atlantic Off-Road Enthusiast.. Scud’s specialty was introducing new riders to mountain biking advocacy and to the efforts needed from local voices to ensure the sustainability of off-road trail networks to the growing population of outdoor enthusiasts. Lutz was presented with the award at IMBA’s 30th anniversary party in Bentonville, Arkansas, on Saturday, October 27. 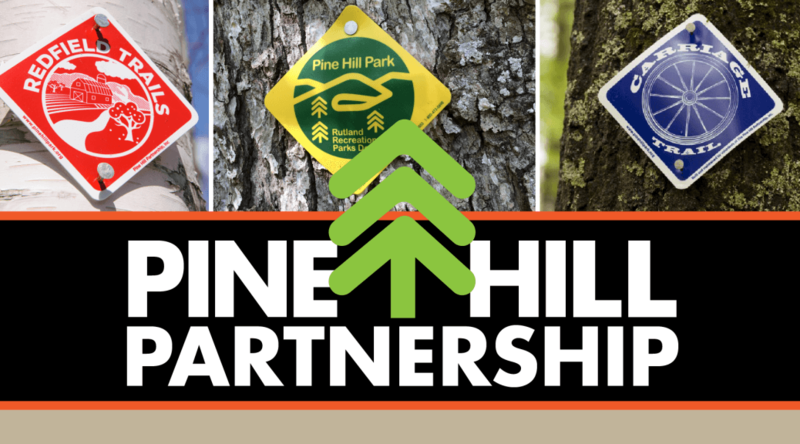 The Pine Hill Partnership is a non-profit formed in 2006 to create, build, and maintain trails in Pine Hill and surrounding areas. 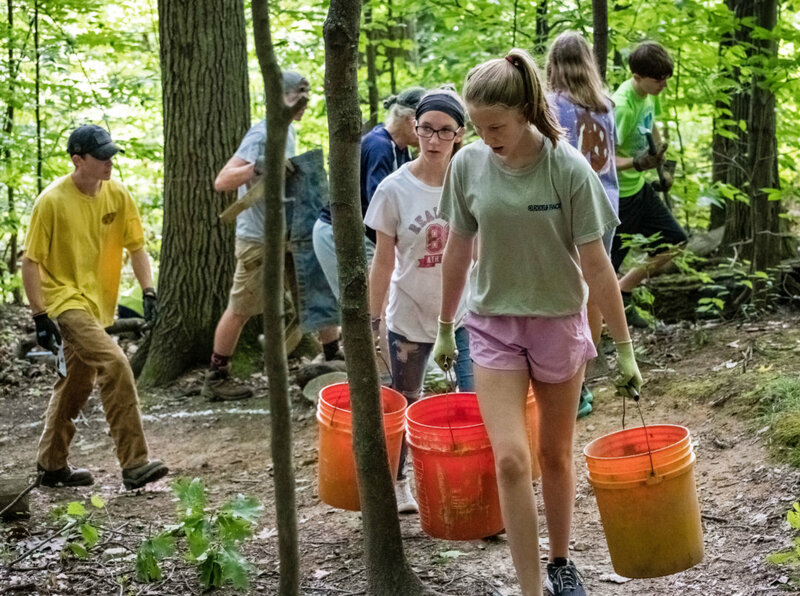 The organization raises money for trail projects, recruits and organizes volunteers to repair, maintain and improve the non-motorized multi-use trail system in the city park at Pine Hill and adjacent lands. 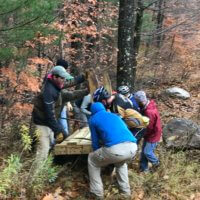 The Partnership also volunteers for the youth and women’s mountain bike programs that are run through Rutland’s Recreation Department, and also to help with the Rutland Go Play races in the park. This past summer the Partnership hosted over 20,000 visits to Pine Hill Park, either pedestrian or biking. New for winter 2018-2019, the Partnership will be winter grooming on some trails for fat bikes, hikers, snowshoers, and cross-country skiers. The International Mountain Bicycling Association (IMBA) is the worldwide leader in mountain bike advocacy, and the only organization in the U.S. focused entirely on trails and access, for all types of mountain bikers in all parts of the country. Since 1988, they have taught and encouraged low-impact riding, grassroots advocacy, sustainable trail design, innovative land management practices and cooperation among trail user groups. IMBA U.S. is a national network of local groups, individual riders and passionate volunteers working together for the benefit of the entire community. They are focused on the quantity and quality of mountain bike trail communities as the catalyzer, resource provider, and builder of more trails close to home.